Getting the right pieces in place is a key ingredient in improving the productivity — and profitability — in the woodworking shop. Stevens Industries, Teutopolis, IL — A full-line manufacturer of TFL and HPL casework and millwork, Stevens continues to focus on reducing scrap, lean manufacturing and improving quality. Its efforts have already paid off, with 2013 sales growing 8.8%. Read more about Stevens' lean manufacturing and other strategies for growth. Northern Contours, St. Paul, MN — Key to Northern Contours' continued success have been improved efficiency and quality, including implementation of a barcoding and nesting system that helps the component maker streamline production and orders. Read more about Northern Contours productivity enhancements. Morantz Custom Cabinetry, Lauderdale Lakes, FL — 2013 was a successful year for the small custom cabinet manufacturer, which recorded a sales jump of 52.9%. President Harold Morantz attributes the growth to increased marketing as well as improvements in productivity. Read more about Morantz's strategies. Cross training on the production line is one of the strategies used by the components maker to improve productivity. Another is outsourcing. “[Our] in-house rough mill allows us to provide custom capabilities, but outsourcing our standard dimension mill operations has allowed us to run with one less employee in the crew and provided a cost basis for determining job profitability while cutting production time by two days,” says Jason Lockhart, production manager/partner. A lot of hard work, attention to detail and meeting deadlines have helped this high-end millwork firm’s sales continue on a steady course, says Paul Fontenot, vice president. Recent projects have ranged from private cruise lines to horse stables. Strict quality control and attention to detail helped spur a 2013 sales increase of 10.0% for the high-end custom kitchen, vanity and casework firm. “We are very selective about any/all materials used in our casework as they directly relate to the quality of the finished product,” says Michael Bright, owner. Hard work and investments in technology have resulted in 12.0% growth in sales for the manufacturer of custom entryway doors and furniture components, says President Alejandro Fernandez. Recent equipment purchases included Kaeser compressors and Shoda routers, with an additional CNC router on the agenda for 2014. An emphasis on quality control and reduced delivery times were some of the strategies employed at the firm, says David Hilker, proprietor. 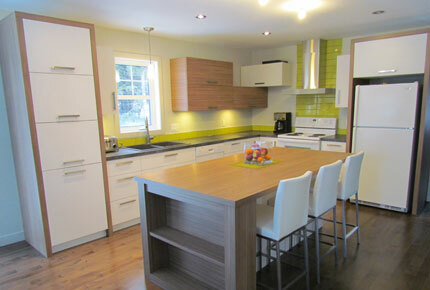 The use of green products also helped spur interest in the cabinetry, he adds. A full service architectural millwork firm serving the commercial, residential and retail markets, SMW’s sales grew 4.5%. “Continued development and expansion of our engineering department, including new software and personnel have made production more efficient and organized,” says Bradley Cohen, vice president. The firm invested in QuickCam engineering software and updated AutoCAD 15 software, along with a new server and finish sander. Next on the agenda is a new edgebander and a possible manufacturing facility expansion or relocation, Cohen adds. The moulding and millwork maker built a new manufacturing plant with additional production lines, giving Prime-Line the ability to manufacture more than 2 million lineal feet of primed moulding per week. Prime-Line’s products are sold in retail outlets, including Lowe’s and Home Depot. The furniture frame maker announced plans last year to expand operations at its Shannon and Ripley facilities in Mississippi. Industrial Timber is a preferred vendor of Jackson Furniture. The expansions will create 80 jobs. 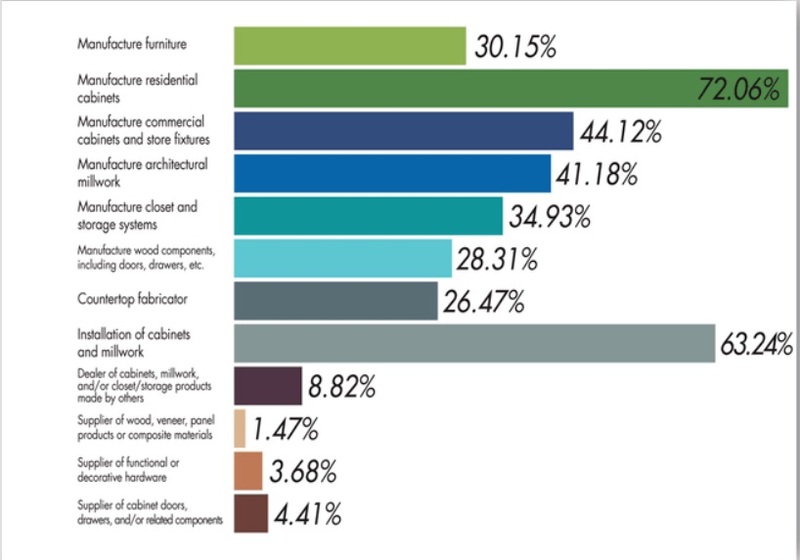 2013 sales grew 7.4%, and 2014 looks to be even better for the custom cabinetry and furniture maker and millwork distributor. “We moved into a bigger facility in 2012 and became leaner and more efficient,” says President Scott Woodland. “We added a couple of specialized employees, and have worked at keeping our lead times short. We [also] have improved our buying so as to give our customers the best value for their dollar.” The firm added an edgebander as it continues growing its frameless business, and “we also began to buy plywood, melamine and hardware in larger quantities to lower costs,” he adds. 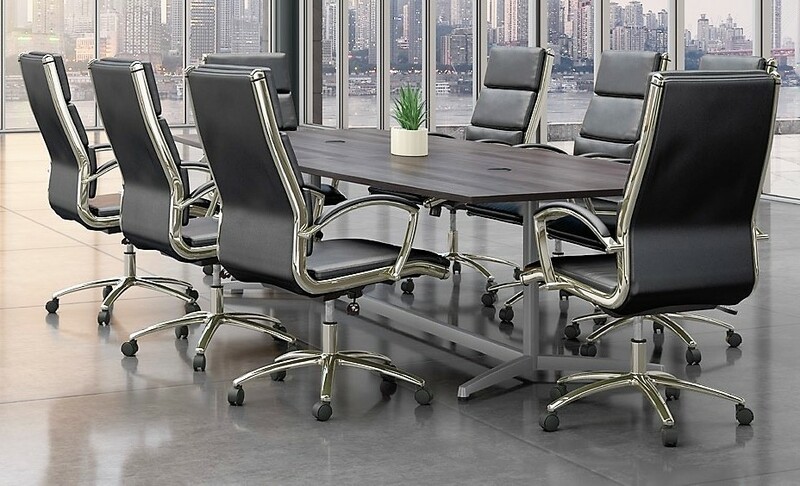 A manufacturer of components and products for the office furniture, medical furniture, store fixture and automotive industries among others, Paladin’s strategies included “investments in production control systems and employee training as well as lean manufacturing,” says Craig Bell, president. The firm’s capabilities include CNC routing, membrane pressing, edgebanding, and packaging complete services. The custom cabinetry and furniture maker “increased productivity while maintaining our premium quality, individual design and customer service,” says Kim Stanfield, co-owner. Additional sales come from countertops, supplied in quartz, granite and laminate. The store display maker continued its pursuit of acquisitions, expanding its capabilities in the UK with the purchase of Rockingham Display’s 30,000-square-foot operation. The retail fixtures and furnishings firm’s ongoing investment in technology has enabled it to produce large-volume orders quickly and cost-effectively, according to Jeff Pray, president and CEO. In just the past few years, PIN has installed: Holzma high-speed panel saw systems, additional Homag edgebanders and Weeke machining centers; Ligmatech case clamps; a Wemhoner membrane pressing line; and an automated panel laminating line. Energy-saving features (heating, cooling and lighting) are throughout the cabinetry firm’s 567,000-square-foot plant. In addition to be a sustainable manufacturer, Huntwood is also high-tech, incorporating robotics, CNC machinery and material processing systems in the production process. Residential furniture operations were expanded by the Simmons Upholstery manufacturer, creating 100-plus new jobs. “Improving performance, while reducing costs,” helped this dimension stock and panel producer to grow sales 20.0%, says Alberto Dona, managing director. Aiding production was the purchase of kiln driers and other processing equipment. Maximizing yield and reducing waste are high priorities at the high-volume architectural firm, says Brad Wiedenhoeft, owner. “We’ll take a 450-foot order, but our sweet spot is something over thousands of feet,” he says. The company specializes in acoustic panels and ceiling grids, profile wrapped mouldings, and other components. Approximately $2 million was invested by the furniture maker to open two plants in Mississippi, resulting in 250 jobs. In addition to producing Catnapper reclining products, the company is the “official seat” of Duck Dynasty-branded furniture. The cabinetmaker announced plans in 2013 to relocate its facility to a larger 200,000-square-foot building and add employees. Smart Cabinetry produces approximately 2,000 to 2,500 cabinets daily. In 2013 the residential furniture maker announced plans to invest $1.5 million to expand its production capabilities, improve service and position the firm for future growth. The project will increase Bassett’s custom casual dining business while adding jobs.